There are about 770,000 inhabitants of Guyana, majority of whom live along the coastal strip. The Guyanese are ethnically and racially diverse and many of them are descended from immigrant workers or slaves who arrived in the country. Present-day Guyanese are descended from Indian, Chinese, African, Indian and European settlers. A small number of inhabitants are descendants of different indigenous Aboriginal groups. The largest Guyanese groups are the Indo-Guyanese, descendants of Indian immigrants, the Bihari who are Bhojpuri-speaking. About 30% are Afro-Guyanese and about 16% are mixed. There are also Guyanese inhabitants who are descended from Jewish, Arabic and Middle Easterner immigrants. Guyana is on South America's northern coast, bordered by Suriname, Venezuela, Brazil, and the Atlantic Ocean. With an area of just 133 sq. miles, the country more than makes up for its size by the sheer beauty of its landscapes, abundant wildlife, diverse culture, and its friendly people. 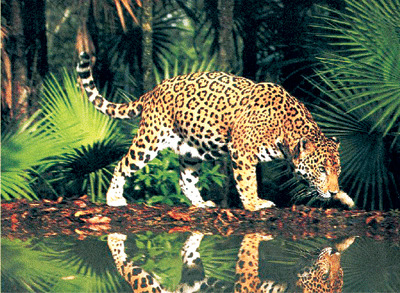 It is the natural habitat of the jaguar, a creature of myth and legend. Although it may be located in the Caribbean, Guyana's vibe is a distinct mix of African and East Indian. Tourists come here mainly to experience the country's stunning views, appreciate the wonderful array of flora and fauna, and savor its young yet rich history. It's also a favorite spot for Caribbean-flavored celebrations and festivals, often a big draw for visitors who come back each year. Guyana's modern name is derived from 'Guiana', a term that means 'land of many waters'. It was so-named because of the numerous bodies of water found in the region. 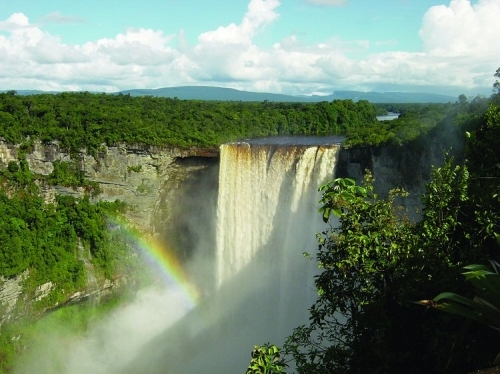 Guyana has a diverse landscape ranging from marshy plains to lush rainforests and green savannahs to sandy coastal areas and mountainous regions that lead to the border with Brazil. Although temperatures vary slightly depending on the region, Guyana's climate is generally tropical, so weather tends to be warm and humid. Precipitation occurs mainly during the months of May until August and from November to January. 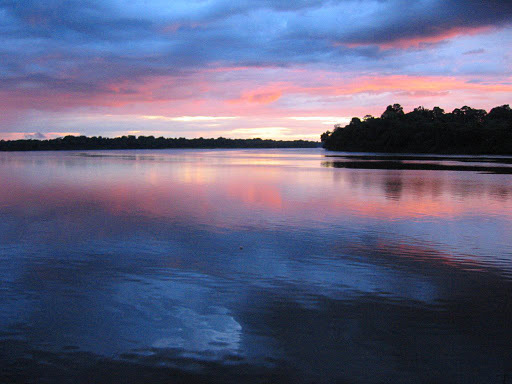 Guyana's geography also features one of South America's most important rainforest. It is so dense and lush that it has remained unspoiled and largely unexplored by people. The beauty of Guyana's landscapes has also inspired countless explorers, naturalists and novelists. Amerindians belonging to the Carib and Arawak tribes were the first inhabitants of Guyana. In the early 1600s and 1700s, Dutch explorers established colonies in several areas. The Dutch later lost control to the British in the 18th century. The colonies established by the Dutch were later joined and became British Guiana. Immigrants and escaped slaves later settled in Guyana along with indentured workers from Germany, Scotland, Malta, Portugal, eastern India and China. In 1966, Guyana finally gained its independence and became the Republic of Guyana four years later. The U.S. and Britain, allowing people descended from African immigrants to gain majority control, secretly supported Guyana's winning political party. Guyana's modern history has been tainted with political and religious difficulties, particularly a period in 1978 when the tragedy involving Rev. Jim Jones and members of the Peoples Temple occurred. Today, Guyana thrives under a strong and able leadership and a stable economy. Guyana is very popular among tourists because of its natural beauty. One of its most famous sights is the Kaieteur Falls, considered as one of the world's highest at over 700 feet. Kaieteur Falls is nestled in the eponymous National Park and may be reached by car, plane or helicopter. The Botanical Gardens is also an excellent stop. The zoo has more than 100 species of wildlife, some of which are endangered. 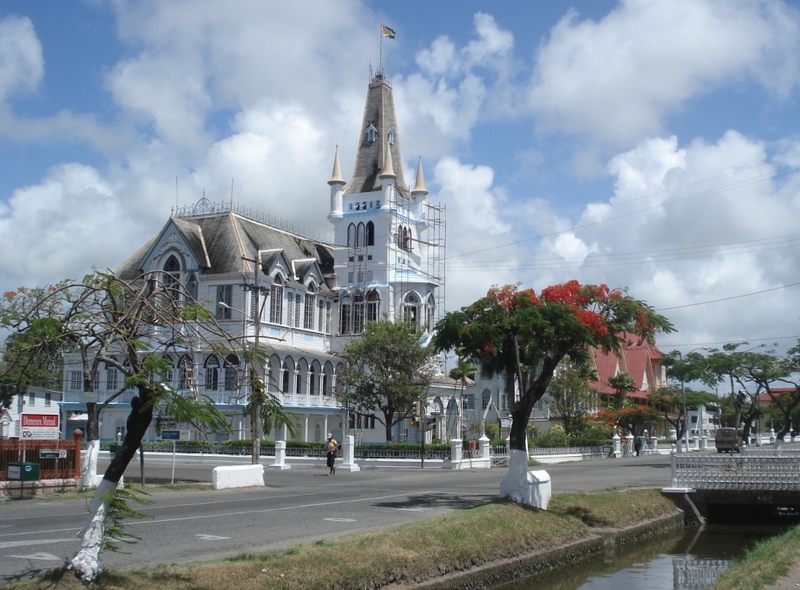 The urban areas of Guyana also offer many places of interest. Tourists who come to the city, for example, should not miss its museums, including the Museum of African Heritage, Guyana Heritage and Guyana Museum, which houses local arts, crafts and archaeological artifacts. Another attraction is St. George's Cathedral, a unique wooden church completed in 1892 that stands 40 meters high. For craft lovers, a visit to the Museum of the Rupununi Weavers Society will offer a glimpse of the culture and art of the region's indigenous inhabitants. Guyana offers a wide range of activities for the night owl, ranging from adventurous fun to a more relaxed way to end the day. The place to be on most nights is Sheriff Street, easily the center of night entertainment and activities. This is where some of the area's best clubs are located, including Avalanche, Tennessee and Buddy's. For music and dance buffs, some great places to go are the Le Meridien Pegasus' Latino Bar, Parika and Bollywood Nightclub for Latin and Indian-flavored beats. For pure nostalgia, Pegasus also plays oldies from the 50s, 60s, 70s and 80s. For local music, drinks and dining, bars and restaurants located in the main street are the best stops. Majority of the inhabitants in Guyana are Christians, who are affiliated with groups such as Pentecostal, Roman Catholic, Anglican and Seventh Day Adventists. About a quarter as Hindus and an estimated 7% are Muslims. A small percentage are Rastafarians, Baha'i and Jewish. The rest are not affiliated with any belief system. English is the official language in Guyana, used mostly in business, media and education. However, there are also local dialects used, primarily Guyanese Creole. This language is primarily English mixed with a distinct African syntax. Cariban languages such as Wai-Wai, Arawak, Macushi and Akawaio are also used by a small percentage of the locals. Guyanese cuisine is defined by the region's climate and geography. History is also an influence on the prevailing flavor of Guyanese dishes. Much of the cooking and preparation styles are adapted from the cuisines of China, East India, Africa, some parts of Europe and the Caribbean. Rice is a staple food, served and eaten at nearly every major meal. Sugar cane is also common, along with beans, milk, cheese, butter and eggs. Most breads served for breakfast is homemade. At lunch and dinner, entrees include meat, along with sources of carbohydrates such as rice, bread, yams or cassava. Varieties of fish are also served, flavored with salt and peppers or more frequently, curry. Also a favorite is a dish called pepper pot, a stew made from fish and seafood or meat and flavored with hot pepper, cassava juice and other seasonings. With the availability of sugarcane, sweets are also common, along with rum.